While both very common, checking accounts and savings accounts are quite different. 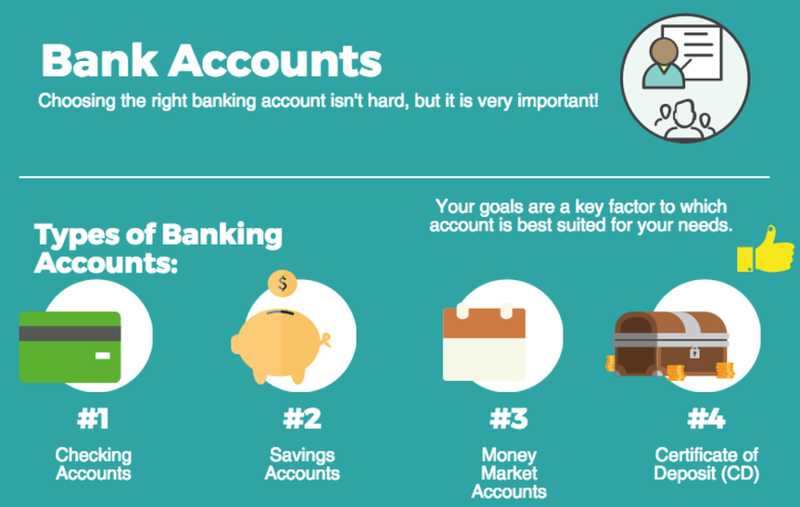 When deciding to open a bank account, it is important to know how these two types of accounts work to make the decision as to which account will best fit your needs. A checking account designed to be used for our everyday needs and let's you complete a high volume of transactions. Typical transactions in these accounts include depositing paychecks, withdrawing cash, writing checks, using a debit card, and paying bills online. Checking Accounts offer the most versatility of any bank account, however due to the continuous flow of money into and out of the account, they require constant monitoring of balances and transactions to avoid overdrafts and fees. 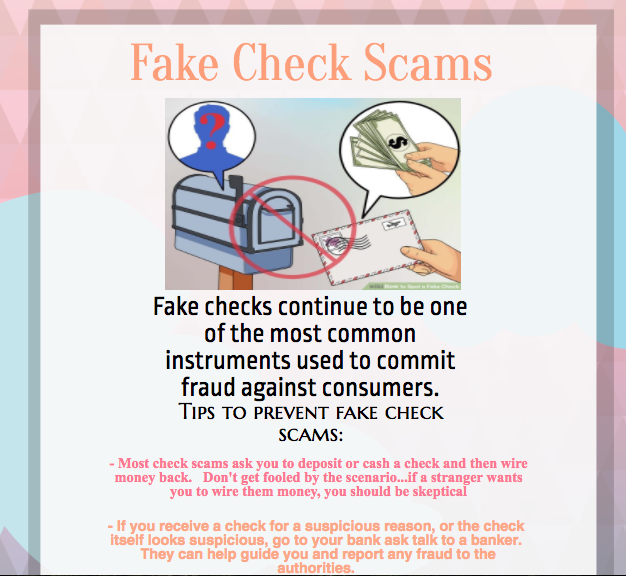 Checks are written to authorize a withdrawal from your checking account to pay someone or to purchase something. Checks have a longer “clearing” period than other forms of payment, which can cause confusion when looking at account balances. This is why people who write a high volume of checks should consider keeping a “checkbook” so they can keep an accurate record of their balance. However, the usage of personal checks is decreasing every day, and many people only write a few checks each month and don’t feel the need to keep a checkbook. Debit cards are much more common than checks for spending money in personal checking accounts. Typically, debit card transactions clear your bank account within 24-48 hours, which means that your online account balances are typically up to date and accurate. Debit Cards are also very convenient because they are accepted just about everywhere, in person and online. There are also risks to be considered with debit cards. If you don’t have good account management habits it can result in over-using your debit card and overdrafting your account, which often leads fees charged by your bank. Also, debit card fraud is very common and your debit card number and PIN number should be protected at all times. A savings account is one of the simplest bank accounts. It is an account where the money is meant to be securely stored and earn interest. Funds kept in savings accounts are less accessible than checking accounts because they are primarily used to save money that will later be used for an unexpected emergency or a big future purchase. Banks will often limit the number of withdrawals or transfers you can make from a savings account each month and will charge you a fee for transactions that exceed their limit. The best practice is to make regular deposits to grow the account, but not make withdrawals until the money is needed or your savings goals have been met. While you will earn interest in the account, rates are currently very low and it won’t add up to very much, but any interest earned is better than nothing! Basic Saving Account- offers low rate while keeping your money safe. Certificate of Deposit- holds an amount of money for a fixed term (length of time). The higher the amount placed in the account, the higher the interest rate will be. When choosing a CD account be cautious that withdrawing money before the term ends will result in a penalty (usually you will lose any interest earned). Similar to checking accounts, you should always understand the rules, limitations, and fees associated with a Savings Account before choosing one and opening it. It is important that people consider having both a checking account and saving account because they both have benefits that are essential to our daily lives and our future. It is important to have a checking account to manage our day-to-day and month-to-month needs. But in the back of our mind we should also have goals and a plan for our future, in which case savings accounts can play an important role. Using both accounts, and using them correctly, is a key part of being financially stable. Don't be afraid to ask questions at your bank. Even the simplest of questions may end up helping you choose the right account or avoid paying unnecessary fees.